Brad Goodman is a very easy-going psychiatrist. He convinced everyone to be more like Bart which resulted in chaos. 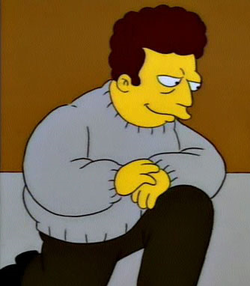 He is voiced by and modeled after Albert Brooks. 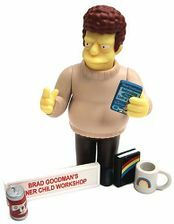 Brad Goodman received an action figure in World of Springfield: Celebrity Series 2. Modified on April 16, 2017, at 11:41.